Landgraff bed and breakfast travel guide for romantic, historic and adventure b&b's. 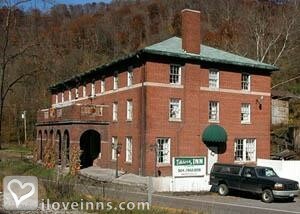 Browse through the iLoveInns.com database of Landgraff, West Virginia bed and breakfasts and country inns to find detailed listings that include room rates, special deals and area activities. You can click on the 'check rates and availability' button to contact the innkeeper. Located in McDowell County, Landgraff is a beautiful town that it is worth visiting. Because of this, there are Landgraff bed and breakfast inns that are always ready to provide guests with excellent accommodations. Located at the southern part of West Virginia, Landgraff used to be a camp for workers at the nearby coalmines. With coal mining here gone, there are still structures and spots located in Landgraff that are reminiscent of its past. Route 52 passes by the town, which is why it can hardly be missed by motorists. Coal trains continue to pass through the town though, particularly the Norfolk Southern Railways. The passing trains continue to remind the population of the years of the coal mining industry. By Elkhorn Inn & Theatre.